Check out what is new down below and if you know anybody looking to buy or sell a home, invest in real estate, or has any questions at all, let me know and I can help them get started. RUMOR OF THE MONTH: After hearing many times that Zupas will not consider St. George, there is a very good source that is saying there is a possibility. Nothing confirmed yet but very high potential. I’ll definitely keep posted on this one. Findlay Subaru- now open off exit 6! Tea Thyme Gift and Boutique- coming soon to Bluff St. in the building next to Kneaders. Dinosaur Crossing- Pandra Express is now under construction in front of Ace and should be open in the next few months. Dinosaur Crossing- Verizon is now open! Riverfront Medical Center- Fusion Pharmacy is on it’s way and will be open soon. Should be complete sometime this month. Riverfront Medical Center- Dermatology Clinic of Southern Utah. Currently under construction and should be complete sometime this month as well. HuHot Mongolian Grill is now open and I’ve heard it was AWESOME. Black Bear Diner is now open off exit 13! HUGE news for exit 10! Pennebridge Lodging bought 2 hotel pads behind the Chevron and work has began. The first hotel is a Springhill Marriott and the plans are in the city now. The second hotel will also be a Marriott, but it’s undetermined which one exactly. Along with these will come more retail around it so stay tuned for the updates on this new exciting development! Kenworth Truck Sales Company- there was a ground breaking ceremony held last month and construction should begin soon! My Place Suites- now open! Located at 1644 S. 270 E. in St. George behind Culver’s. Staybridge Hotel- under construction across from Furniture Row. Tru by Hilton- under construction across from Furniture Row also. Findlay car dealership- under construction. Riverfront Medical Center- On Riverside Dr behind Cox Landing. Construction end date is projected for July 1st, and most of the building is already full. 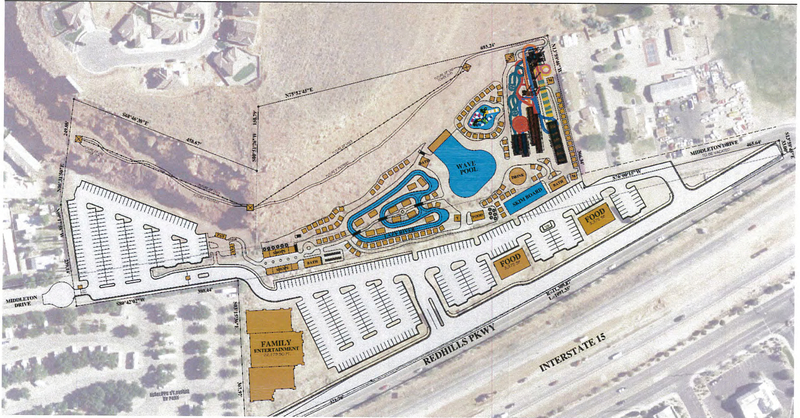 Desert Pain, St George Orthopedic Spine, and FIT Physical Therapy are a few of the businesses that will be going in. More to come soon! Café Sabor- 290 E. St. George Blvd (where Wagon Wheel used to be). OPEN. Retail complex that has 8 retail spaces. Dirt is being moved and construction will begin soon. A café and a bakery have already signed, with more in the works. Stone Canyon Eye Care- Now open. H&M- Construction is underway and they are scheduled to open this fall. Hash House a Go Go- HUGE news for the mall. They are going in the old Bucca building in front of the mall and should be open in the next few months! Pine View 10 Plaza- a new retail building with 2 spaces. T-Mobile and Brent’s Pharmacy are now open! Simister Ortho and Riverside Dental- currently under construction and should be complete by the end of the year. mercial plaza will be underway in the near future. It is directly north of Lin’s out in the fields. Stay tuned for updates! Legacy Ridge Apartments- now open! They allow dogs and will have their own dog park. Fossil Hills Townhome Community- townhome complex underway on South River Road just over the bridge from the Knolls/Little Valley next to the Dixie Power station. Under construction. We have had 1377 residential building permits for apartments & condos, duplexes & townhomes, and single family homes pulled so far this year. We have a large number of lots being developed right now so we should be seeing more and more come available the next few months. Here is what was recorded last month!